General manager, sport fanatic, doting dad, loving husband, these are a few titles that best describe Karl Pietersen. Karl, who grew up in Somerset West, studied Sport Management and Coaching at Northlink College in Plattekloof. He pursued his career in Kuwait as a personal trainer, before he was offered a private based position as a personal trainer for Penny Streeter. 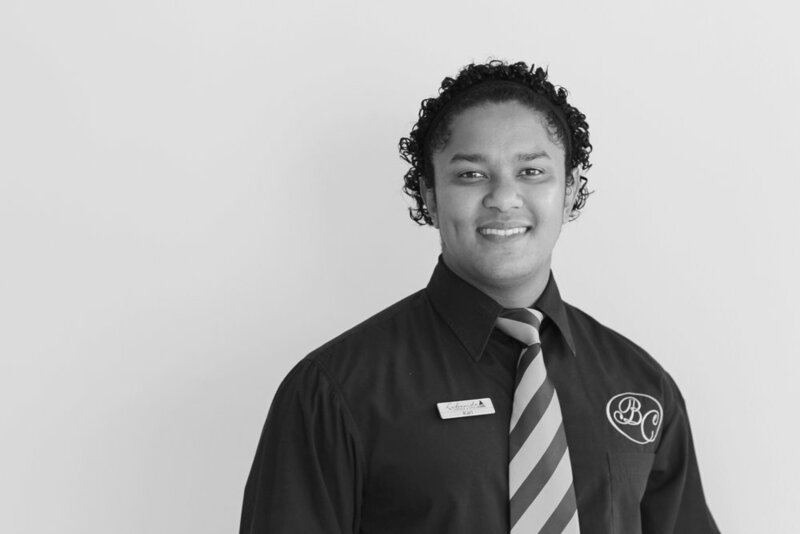 Karl has made his many talents known and has shown true determination which later landed him the role of Assistant General Manager at our five-star boutique hotel, Lakeside Lodge & Spa. Karl is a massive sport fanatic who thoroughly enjoys watching action cricket leagues. His love for sports is often seen in his engagement with outdoor activities such as swimming, cricket, rugby and soccer. If he is not found on the sofa enjoying a great match or catching up on soccer highlights, he is out spending time with his two daughters - Lillian-Ann Rose (2) and Kateliya (7 months), who he refers to as his ‘two minions’. Lakeside Lodge & Spa is more than just its breathtaking views over the Swartvlei Lake. Karl describes it as a ‘hidden gem’ located in the heart of the garden route. The beauty of Lakeside does not only please the eye, but exudes tranquility. Karl often loves to explore the birdlife and hiking. Karl enjoys Lakeside all year-round, particularly in the Winter season as this is when the weather is most enjoyable. Older PostWe're showcasing our Five Stars at the Pavilion.